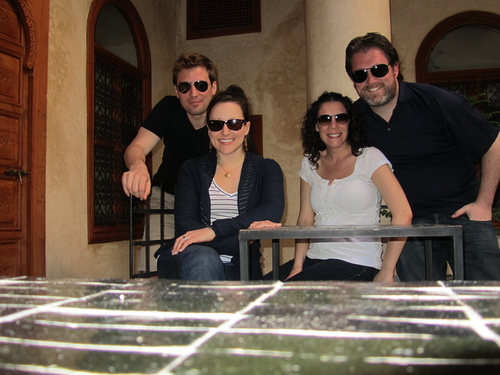 Landing in Marrakech, connected with my cousin and her husband, and off to the hotel….sorry, the Riad. 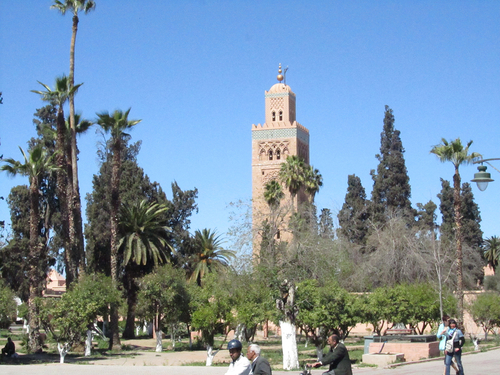 Unless staying outside the Medina, you are most likely to stay in a Riad, which is a private home that has been converted into a hotel, which can have anywhere from 4-20 rooms usually. Our choice mainly was done because a spa was connected to it, and we wanted to experience that before we left. 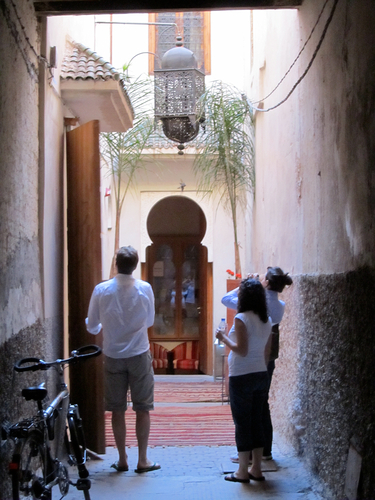 The Riad was located in a maze of alleyways and streets that thankfully were made easier by a guide from the hotel who met us at the perimeter to grab our bags. So after following him, and checking in, we wanted to go for a stroll and get some dinner. The medina is not that large, but you can get lost quite easily. We found our way to the main market/square, where every night most locals get their dinner, and shop after shop is trying to convince you to eat at their place of business. We eventually sat down at one, just so we didn’t have to listen to them anymore. We tried all the local food, which was good, but in the end, WAY overpriced and quite honestly a rip off. They came up with prices out of thin air and then begged for tips afterward…not my type of scene. Was glad to get out of there. Day 2 we wanted to see as much as we could, do some shopping, drink some beers, eat some local food, and relax. We did it all. 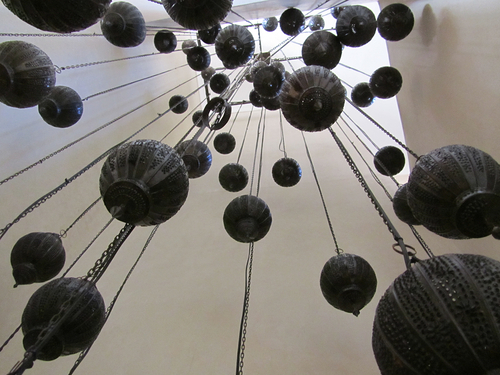 I’m going to explain what we did in pictures instead of script since I don’t know the history behind most things in Morocco. One thing I can say is that we ended the night at dinner at a local restaurant that was on top of a roof, and it was fantastic. Once again, a local guide lead us back to our hotel since Marrakech is an eerie place at night, especially in the Medina. Our flight was late home on Sunday, so we definitely wanted to have a hamman, a spa, before we left. 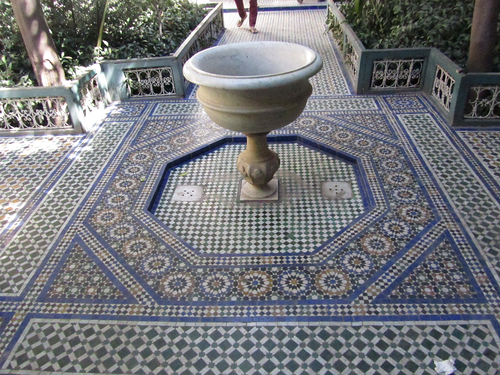 The facilities next to the Riad were well-known in the area, so we figured it must be good. IT WAS. I had a scrub with local muds that pretty much ripped a whole layer of skin off, but pretty sure it was good for me and it felt fantastic. I also got a massage in a wet steam room, which was a bit strange to get used to, but by the end I was relaxed and felt extremely clean. I think relaxed for about 45 minutes in a cold, calm room with Annemarie while we sipped on local tea and ate cookies. 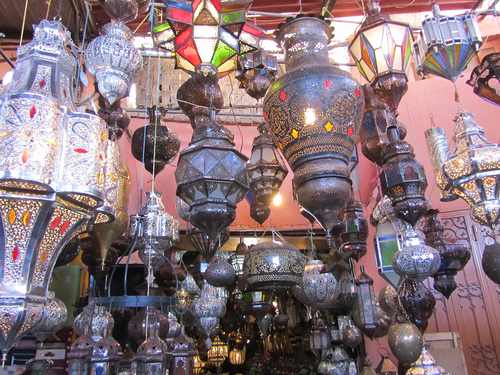 We then pushed off, but not after getting our customary magnet for the country visited, and picking up a Moroccan lamp for our future daughters room. Our house is going to look like a time warp once we settle somewhere for more than 5 years.